Irongate Dam on the upper Klamath River is one of four hydroelectric dams slated for removal by 2020. North Coast Congressman Jared Huffman sent out a press release this morning confirming that Wednesday's "major announcement" on the Klamath River will include the signing of the reshaped agreement to remove four dams that have clogged the river for decades. "The signing of this new agreement to tear out the Klamath River's aging hydropower dams brings us one step closer to rebuilding one of the West Coast's most important rivers," he said in the release. 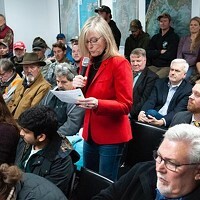 "I am very pleased at the commitment in the highest levels of the state and federal governments in working toward one of the greatest restoration projects in history." See the full press release from Huffman's office copied at the bottom of this post. It’s unclear exactly what the announcement will be, but it’s expected the officials will present a ratification of a new deal to revive what’s been dubbed the largest dam removal project in the nation’s history. The press release says only that the officials will be making an announcement that will "further progress toward the largest river restoration project in U.S. history." 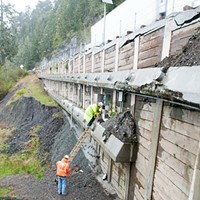 The deal, struck in principle back in February, would see the states of Oregon and California form a nonprofit corporation to take over ownership of the dams from PacifiCorp, the energy company that currently owns the dams. The nonprofit would then rely on existing federal authority to decommission and remove the dams with funds already generated from PacifiCorp ratepayers and a California water bond. 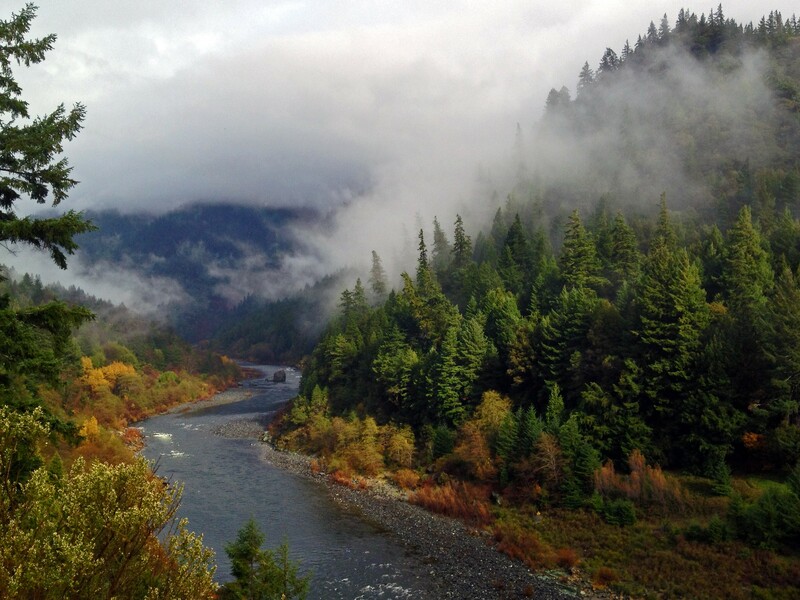 “A free-flowing river with hundreds of additional miles of salmon habitat will replace a river plagued by aging, fish block dams that don’t produce much power,” wrote North Coast Congressman Jared Huffman in a recent op-ed for the Sacramento Bee. Klamath River at Hopkins Creek, close to Weitchpec. Hope for prompt dam removal on the Klamath River seemed lost late last year, when Congress failed to pass legislation that would have moved the Klamath Agreements — a total of three pacts reached by stakeholders along the 255-mile-long river — forward, allowing for removal of the dams, watershed restoration projects, and water and energy security for farmers and ranchers in Oregon. While a deal has been struck to revise the Klamath Basin Hydroelectric Settlement Agreement and remove the dams, it’s unclear what will become of the two other pacts that made up the Klamath Agreements. Officials have seemed optimistic about salvaging the other aspects of the agreements, securing some measure of water security for Oregon irrigators and ranchers, river restoration funding and economic stability for the Klamath Tribes of Oregon. Despite the signing ceremony scheduled for Wednesday, there are some still working to scuttle the newly forged dam removal deal. As Huffman wrote in the Bee, some Republican members of Congress are arguing that the deal is illegal and the Klamath County Commissioners recently penned a letter to the Federal Energy Regulatory Commission urging it to oppose dam removal, which the commissioners argue would have dangerous environmental consequences and increase flooding threats to communities along the river. In the Bee, Huffman said there is widespread, grassroots support for dam removal, despite some entrenched Republican opposition. For more on the history of the Klamath Agreements, see past Journal coverage here. For more on the new deal, click here. And, find the press release about Wednesday's "major announcement" copied below. KLAMATH, Calif. – On Wednesday, April 6, U.S. Secretary of the Interior Sally Jewell and Interior Deputy Secretary Michael Connor will join Governor of California Edmund G. Brown Jr. and Governor of Oregon Kate Brown to make a major announcement about environmental restoration, water reliability and hydroelectric dams along the 263-mile Klamath River. Federal, state and Native American tribal leaders, businesses, non-governmental organizations and water users will also join in the announcement, which will further progress toward the largest river restoration project in U.S. history. Earlier this year, the States of Oregon and California, PacifiCorp and the federal government – through the U.S. Departments of the Interior and Commerce – announced an agreement-in-principle to move forward with amending the Klamath Hydroelectric Settlement Agreement (KHSA). Under the agreement-in-principle, the parties to the KHSA would pursue its implementation through the administrative process governed by the Federal Energy Regulatory Commission (FERC), using existing funding and on the same timeline, to develop terms of an amendment to the KHSA to implement its key provisions, including providing for facilities removal. Members of the California and Oregon delegations introduced legislation in the past two Congresses to advance the hard-fought KHSA and two related Klamath agreements; however, the U.S. Congress adjourned last year without acting on legislation to authorize them. Directions: From 101 North make a left onto Requa Road. At the Requa Inn make a slight left onto Mouth of Klamath Road. Mouth of Klamath Road runs directly into the Boat Ramp parking area. Washington—This Wednesday, April 6th, Congressman Jared Huffman (D-San Rafael) will speak at the signing of the Historic Klamath Agreement along with U.S. Secretary of the Interior Sally Jewell and Interior Deputy Secretary Michael Connor will join Governor of California Edmund G. Brown Jr. and Governor of Oregon Kate Brown. 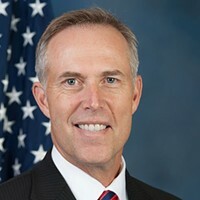 Congressman Huffman has been very active on pushing for congressional action on the Klamath settlement. You can read more about his work here, and read his op-ed on the topic here.